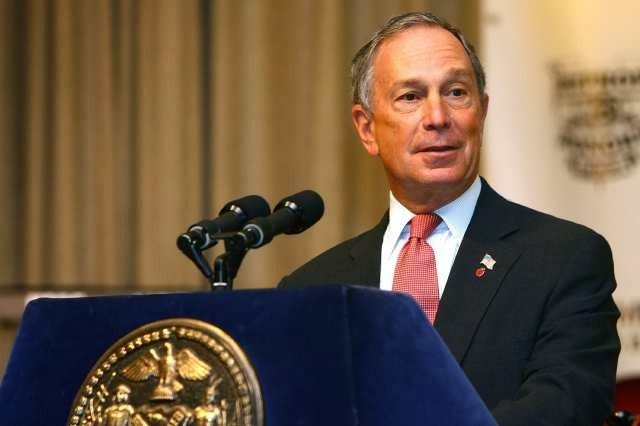 In a surprise move, Mayor Michael Bloomberg today announced that he had decided to void the recent mayoral election, and declared himself Mayor for Life. Mayor Bloomberg stated he was fully prepared to have his private army, the New York City Police, enforce this edict. Mayor Bloomberg said New York's welfare was too important to be left in the hands of a democratically elected mayor. The mayor claimed there was abundant precedent for this. "I overturned at least two democratic elections to get my third term, and I see no reason not to do it once again for my fourth and permanent term," stated the mayor, who went on to outline his vision for the city's future. "As I've previously explained," the mayor told us, "NYC is the best place on earth to be homeless. Who wants to wander among dilapidated third-world slums when you can be homeless near world-class art museums and the world's best theater? What's better than mining the dumpsters of fine restaurants for the remains of the best-crafted meals available anywhere?" Mayor Bloomberg then pledged to make New York the number one homeless destination in the nation, if not the world. Mayor Bloomberg apologized to Bill de Blasio for the abrupt change in plans, but stated categorically that Gracie Mansion would not be available to him. The mayor pointed out that if de Blasio had made other plans for his Brooklyn home, he was welcome to join the ranks of the lucky NYC homeless. While Bloomberg himself was not planning to live at Gracie, opting for his own mansions and Bermuda getaway, he explained that it would simply look bad if de Blasio and family were allowed to live there during the fourth term. "God wants it that way," asserted Mayor Bloomberg. He then assailed de Blasio for being taller than him, and repeatedly asserted that de Blasio was being taller than him "on purpose." Mayor Bloomberg stated that, while there was nothing inherently superior in physical height, "God doesn't want it that way." Mayor Bloomberg also asserted that mayoral control meant he could do what he wanted, when he wanted, how he wanted and moved to close 32 schools the UFT had previously kept open as the result of a lawsuit. "I am the law," stated the diminutive mayor, "and no court can tell me what to do. Otherwise, why would I have all this money?" Mayor Bloomberg completed his press conference by announcing that he was dispatching his private army to every 7-11 store in the city to confiscate every soft drink cup in excess of 16 ounces. Bloomberg, having canceled the de Blasio inaugaration, will instead hold a huge bonfire to destroy all offending cups at City Hall this January 1st. "The public is invited," stated the mayor, "but we will stop and frisk anyone who looks remotely suspicious." Bloomberg declared if anything were to happen to him, his successors would be Schools Chancellor Dennis Walcott, and reinstated washed-up politician Christine Quinn, in that order.